THE Gita is one of the most authoritative sources of Hindu doctrine and ethics, and is accepted as such by Hindus of all denominations. A study of even selections from it, strengthened by earnest meditation, will enable young men and women to understand the religion of our fathers, which is the background of all the noble philosophy, art, literature and civilization that we have inherited. 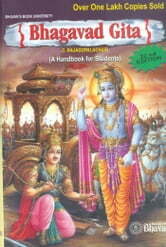 There are many excellent translations of the Gita in English and in the Indian spoken languages. For scholars, the commentaries of Sri Sankaracharya and other great religious teachers are mines of knowledge before which any modern notes are but chaff. The following pages are intended for students who have not the equipment and time for studying the original text with any of these great commentaries. 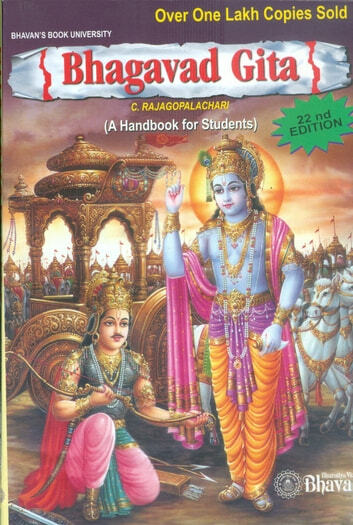 The Gita is a chapter in the Mahabharata. It begins by describing the agitation of Arjuna when he saw men arrayed on either side for mutual slaughter, and into this scene is fitted the exposition of Hindu Dharrna, in terms of what Krishna spoke to Arjuna in order to quell his agitation and clear his doubts. Krishna speaks throughout the Gita as God himself. In spite of what is stated in the previous paragraph, and the beauty and appropriateness of the background conceived by the bold unrivalled imagination of the ancient author, the student should note that the Gita as a scripture of Hinduism stands apart from the Mahabharata. The context has rightly receded into insignificance and has practically disappeared in orthodox Hindu interpretation.